The event was a philosophy of science festival. Given the high quality of the research presented, it was actually rather difficult to choose which talk to attend from the five / six sessions running in parallel. Besides the high-quality research showcased, the conference also provided interesting and informative sessions about editorial and funding opportunities. The Editors of the European Journal for Philosophy of Science, i.e. Phyllis Illari (UCL) and Federica Russo (Amsterdam) met the authors, answering various questions about the journal’s status and policies. For instance, it was made clear that the average decision takes 60 days, although there is a good deal of variability. It was also specified that the busiest months are August and September and that the editors are considering the possibility of publishing more special issues. In addition, an important session on how to write ERC grants was also held. This informal session gave advice on how to successfully apply for ERC grants (Starting, Consolidator, Advanced). Three recipients of ERC grants -- John Dupre (Exeter), Sabina Leonelli (Exeter) and Michela Massimi (Edinburgh) -- and (from the ERC itself) Angela Liberatore, answered questions relating to these grants and the application process. 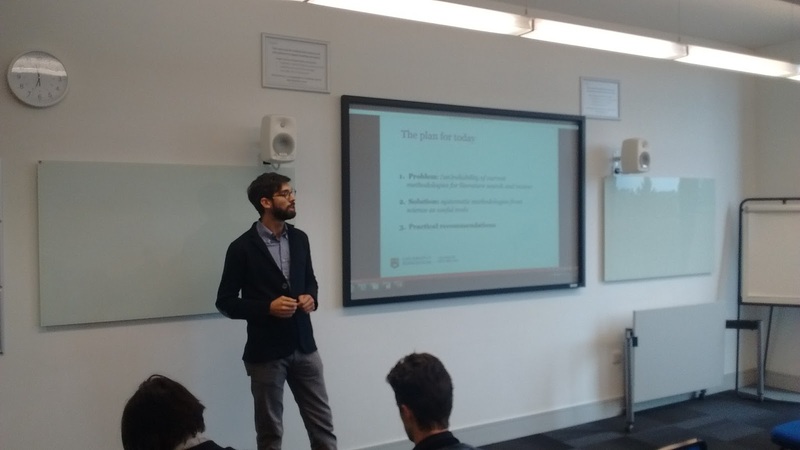 The session clarified some key aspects of a successful proposal, such as the importance of selecting the right panel and showcasing one’s scientific independence. Speakers also made clear what benefits to associated with ERC funding, such as the portability of grants and the possibility to negotiate the best work conditions with the host institution. Among the keynote talks, Philip Kitcher provided an important plea for philosophy of science, clarifying what the relevant audience(s) should be. He reviewed the history of the field by considering who philosophers of science write for, and why. Importantly, he showed, the relevant audience should include the educated general reader. Helen Beebee talked about women in philosophy of science. Women are hugely underrepresented in professional philosophy in general, and in the philosophy of science in particular. She presented some data and some results from social psychology, and made some concrete suggestions for things all of us can do — often pretty small things — that might make a difference. For instance, she talked about using seminar policy to empower good and condemning bad behaviour, as well as subscribing to good practice schemes. The conference offered many high-quality symposia. For instance, Mark Sprevak, Matteo Colombo (pictured below), Nico Orlandi, Gualtiero Piccinini and Lotem Elber-Dorozko debated the "Computational Mind". More specifically, the symposium examined how modern computational cognitive science raises new philosophical challenges and how it has reconfigured the way in which computation explains the mind. But there were many other important symposia. For instance, there was one on "the Science and Philosophy of Institutions", featuring Francesco Guala, Sonja Amadae, Emrah Aydinonat, Jp Smit and Petri Yjikoski. 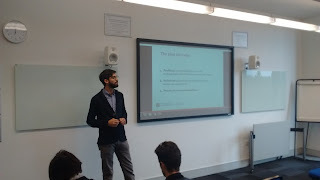 Notably, Francesco Guala (pictured above) talked about coordination games, accounts of social kinds, and different views of social construction, focusing on key institutions such as money and marriage. Marriage and money are sets of rules that we follow when we are married, when we use money, or when we are moral. But why should we obey these rules? Why do institutions persist? The answer is incentives, and Guala talked about how to analyse institutions as solutions to coordination problems arising from strategic interactions.